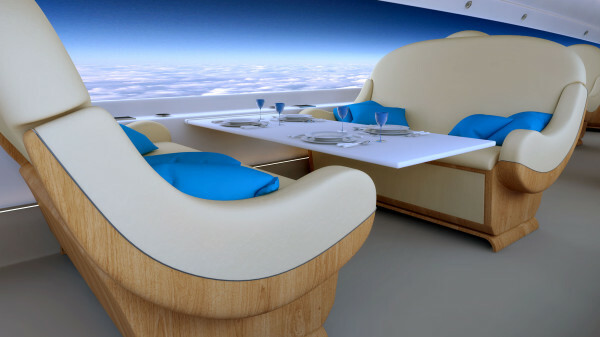 A Supersonic Jet… With No Windows? 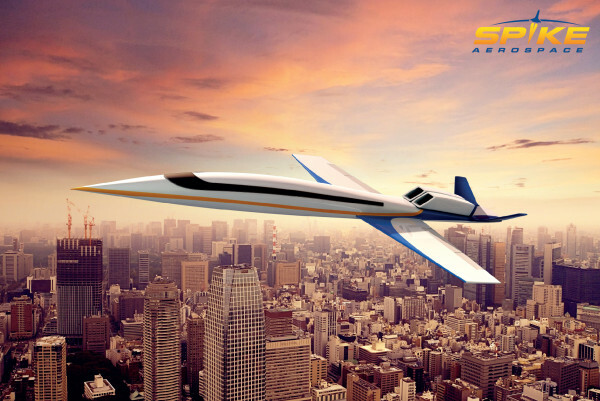 Take a look at what the future of luxury air travel may look like, with renderings of the supersonic jet S-512 by Spike Aerospace. The Spike S-512 will reach international destinations faster than any jet on the market and break the sound barrier at 1,100 miles per hour (1,770 km/hr) — or Mach 1.6 — roughly halving conventional flight times. 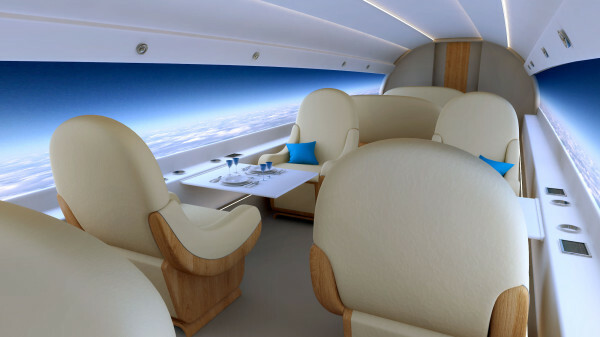 And one of the most innovative features of the luxury jet will be the conspicuous absence of windows. Instead, cameras installed on the outside of the aircraft will livestream images back onto high-definition screens that run the length of the inside passenger cabin. 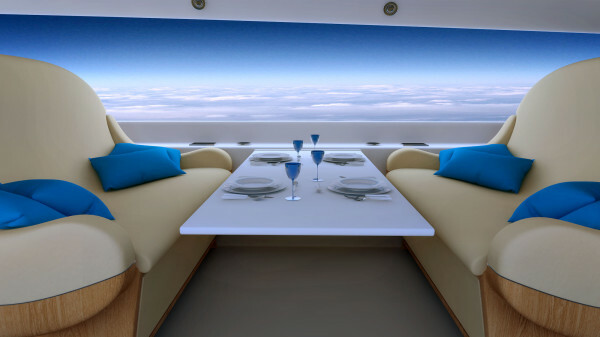 When they want some shut-eye, passengers will be able to dim the screens or choose their own digital wallpaper from images stored in the system. All that depends, however, on whether or not the engineers and consultants at Spike Aerospace in Boston can get the project off the ground. The company is hoping to crowdsource $250,000 to fund the second phase of the project, which requires finalizing design details. The deadline to reach their crowdsourcing goal is March 14. While the removal of airplane windows may have been unthinkable before, the advancements of micro-cameras and flat-screen displays will enable engineers to improve both the flight experience and aircraft efficiency: not only will a smooth windowless fuselage reduce aircraft weight, it will also reduce drag.